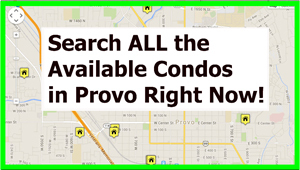 Heather Heights Condos Provo Utah is a BYU Approved condo. These condominium have been traditionally approved for Females that attend BYU. Please check with BYU offcampus housing to verify the current status. The Heather Heights Condos were built in 1981 and have 12 units. The Heather Heights Condos are not FHA approved. Information About Provo City. 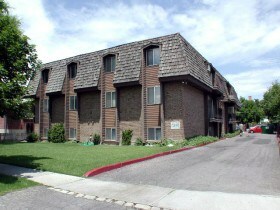 The Heather Heights Condominiums are located at 72 W 880 N, Provo, UT 84604. Many of the Heather Heights Condos Provo Utah have a gas fireplace and a quite large kitchen. These condos are within walking distance to BYU. I looked at the historical SOLD data for the Heather Heights Condos Provo Utah on the Multiple Listing Service. The oldest record I can find for the Heather Heights Condos was a sale in 2001 for $94,000. The most recent sale was in 2006 and this unit sold for $120,000. Thus, the price span from 2001-2007 was from $94,000-$120,000. Between the years 2001-2007 several other units sold. The prices seemed to slightly increase year after year. The Heather Heights Condos appear to hold their value well. Traditionally, the closer a condo is to BYU campus the stronger it holds it’s value. Also, the closer a condo is to campus the easier it is to rent. Many students don’t want to drive to campus because parking is such a nightmare. Walking is generally the preferred method. Do You Own a Heather Heights Condo? If you own a Heather Heights Condo contact Paul Teasdale of Team Teasdale Realty for a FREE CMA. Paul will look up the current active and sold condos and get your condo quickly listed and sold. If you would like more information about buying or selling a Heather Heights Condos in Provo Utah contact Team Teasdale Realty. Do You Want to Buy a Heather Heights Condos? I looked on the MLS and found one active Heather Heights Condo for sale. In October 2012 this condo was listed for $129,900. If you are looking to buy a condo in Provo contact Paul Teasdale of Team Teasdale Realty. Paul has been selling condos around BYU since 1995.